We are going to make yummy Pimiento Loaf style sausage (Paprika Lyoner in German) slices from felt today. As is true for the felted cheese slices, salad leaves, and Mortadella slices, Pimiento Loaf slices are perfect for felt sandwiches and easy peasy to make. This project is great for any felt food newbie, because it requires only one sewing step that is best done by hand. The tutorial comes in 6 steps, and 2 slices of Pimiento Loaf sausage can be done in about two to three 15-minute crafting sessions. STEP 2: Follow steps 2-4 in the Mortadella sausage tutorial. Afterwards, you will have at least 2 blank pink sausage slices (here, I made 5). 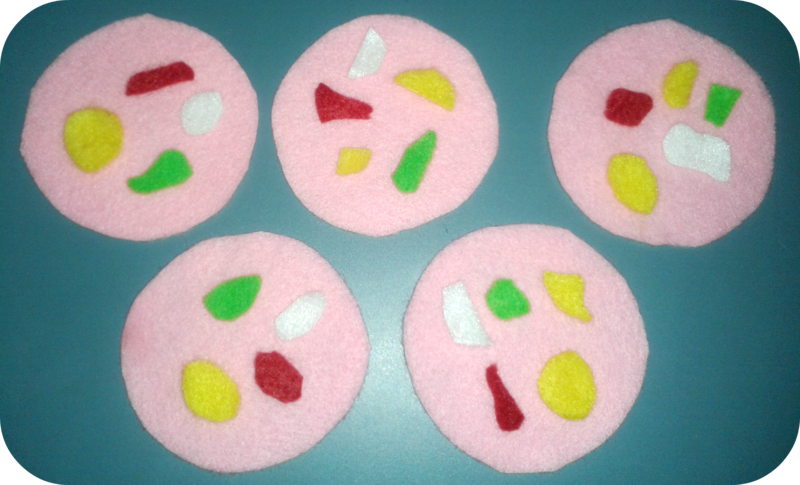 STEP 3: From white, green, yellow, and red felt leftovers cut different shapes the size of a 10-cent coin. These shapes will represent the white spots (the pork fat cubes) and red/green/yellow spots (red/green/yellow bell pepper pieces) that are usually found in a Pimiento Loaf-style sausage. This is exemplarily shown for white felt pieces in the first picture below. Align about four pieces of different colour onto one pink raw slice (second picture below). STEP 4: This is the most trickiest part now. 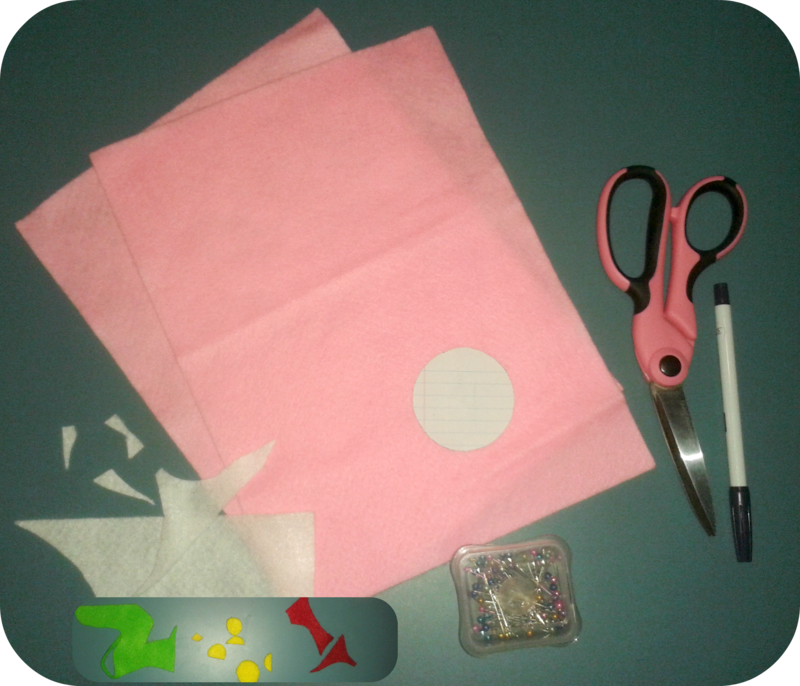 Get a standard needle and some standard thread (the colour should match the color of the chosen felt piece). Loop your needle and make a knot at the end of the thread. Take one felt piece into your hand (here, it is shown for a white one) and stitch through it from bottom to top around 5 mm from the edge. Place the white (or yellow/red/green) felt piece back onto the pink one thereby hiding the knot in between both felt layers. 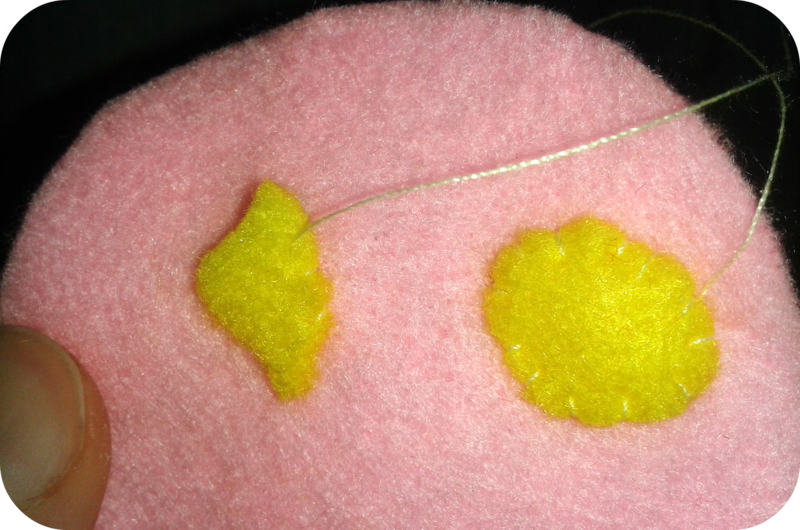 Stitch into the pink felt next to the white felt piece and stitch back towards the white felt piece. The trick here is to NOT stitch completely through the pink felt but to stitch to the middle (about 1 mm height of a 2 mm thick piece of felt) and at this height move the needle below the white felt. If you do this correctly, there will be no sewing traces at the backside of your Mortadella slice. STEP 5: Stitch around the whole white (or green/yellow/red) felt piece as explained in step 4. When you are done, make a knot very close to the edge of the white felt piece, stitch into the pink felt below the white felt piece and stitch out at the opposite edge (again, do not stitch through the pink felt). Pull and the knot will be pulled below the white felt piece where it will be invisible. Cut the thread close to the edge of the white felt piece while still pulling. This ensures that the end of the thread will disappear below the white felt piece once the tension is gone. ALTERNATIVELY: There is a possibility to sew on all felt pieces of the same color (i.e., white, green, yellow, or red) in only ONE step without making knots and cutting thread in between. 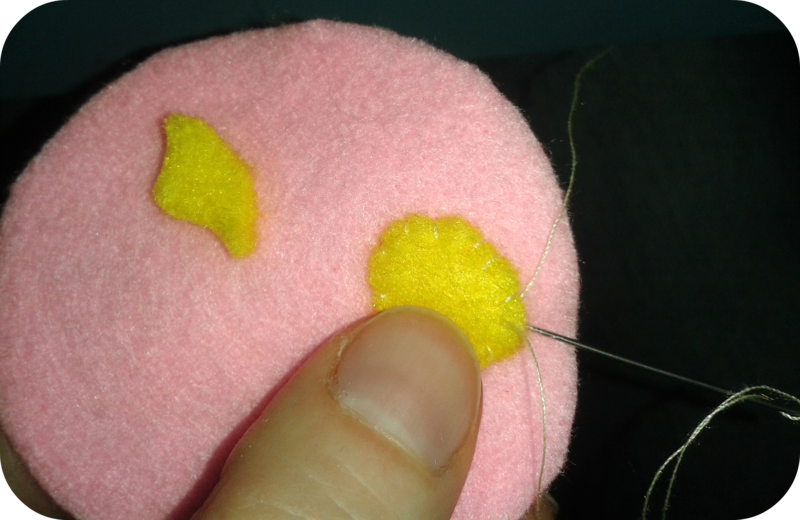 Having stitched on the first felt piece (I did yellow ones in the pictures below), guide your needle below the first felt piece and within the pink felt towards the second one. 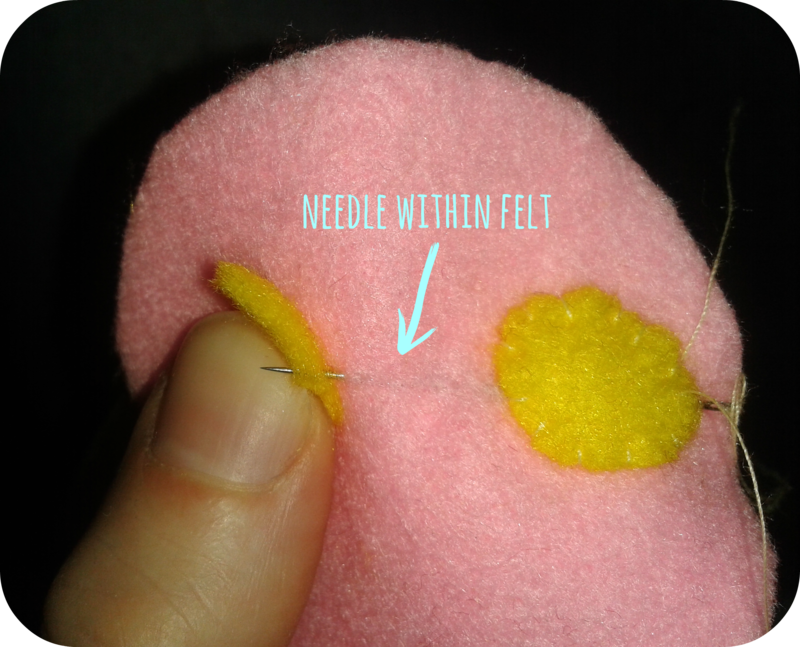 Again, do NOT stitch completely through the pink felt but stitch to the middle (about 1 mm height of a 2 mm thick piece of felt) and at this height move the needle towards the next coloured felt piece. 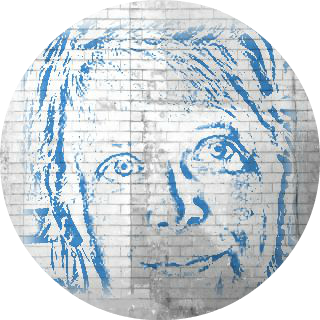 Please refer to the picture below for clarity. Now, stitch on the second coloured felt piece as described in step 4 and repeat as often as it is necessary (e.g. repeat once for 3 felt pieces of the same colour). 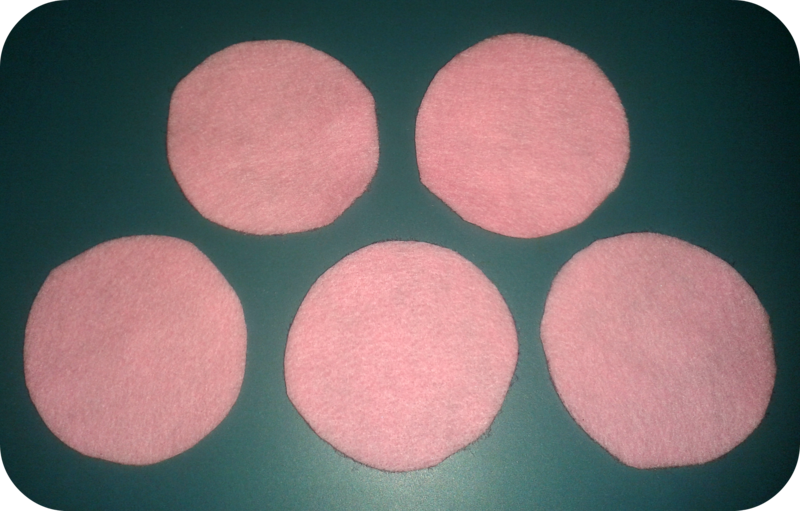 When you have stitched on the last felt piece of the same color, knot and cut the thread as is detailed in step 5. STEP 6: Repeat steps 4 and 5 for all felt pieces of different colour. If everything went fine, you will have at this stage something like what is shown in the picture below. 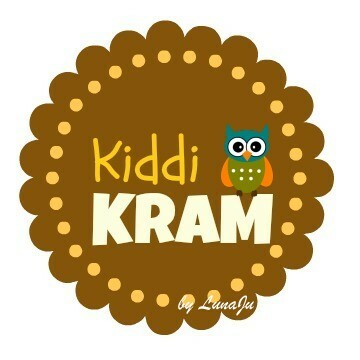 The back will show no traces of any sewing processes. You are done! 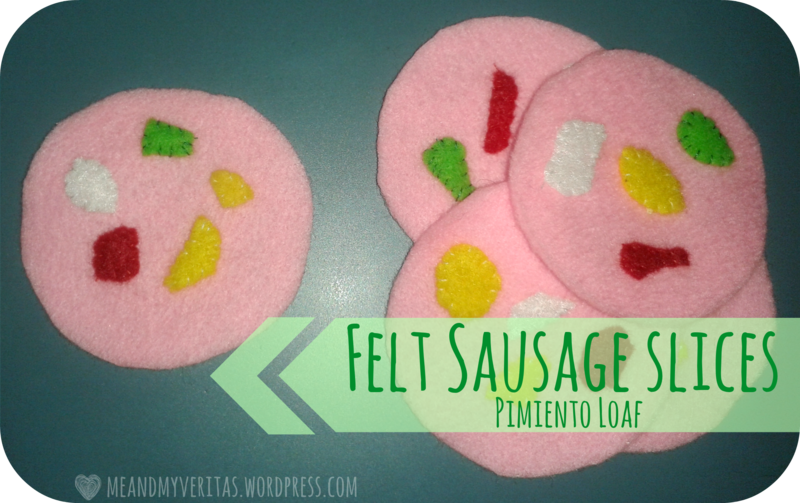 *applause, applause* You have made super-realistic felt Pimiento Loaf style sausage slices and I hope you had a lot of fun. 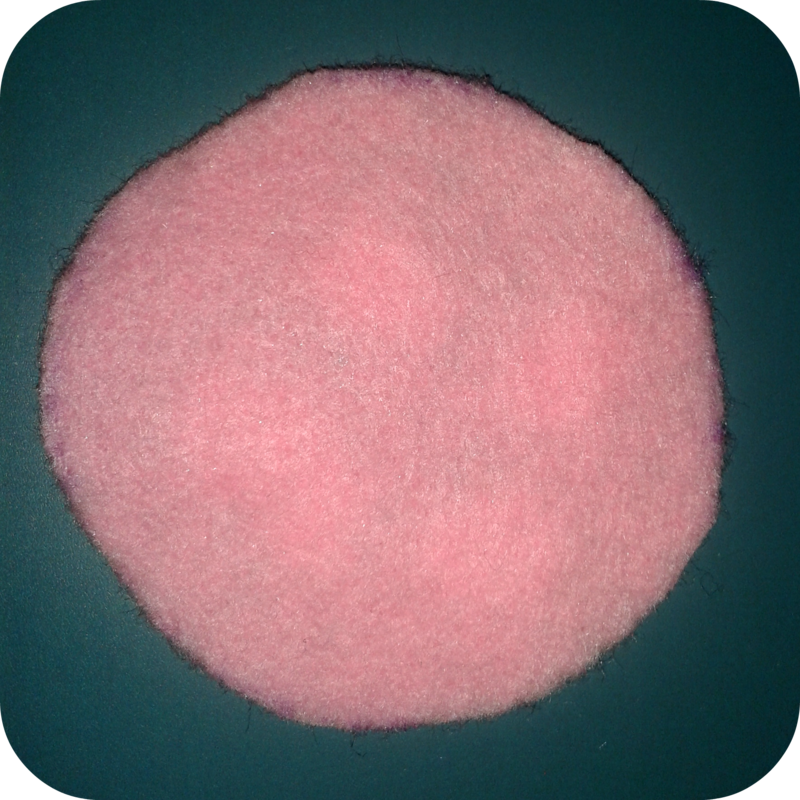 I will publish more felt food tutorials soon. The Felt Tomato Slices tutorial is currently in the making. So please stop by again.